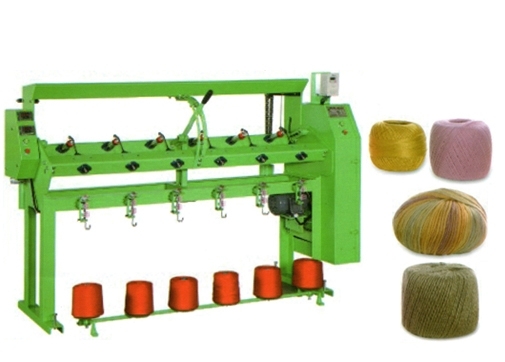 Balling Winder( handknitting wool/crochet/synthetic)(TN-07) - Taining Machine Industries Co., Ltd. This machine is simple frame and easy operation & maintenance enable to effectively produce perfect and beautiful shapes of balls. Equipped with yarn meter. Easy to adjust and presetting the length to take-up and auto-stop when winding up desire quantity. Suitable hand knitting wool, crochet & synthetic.